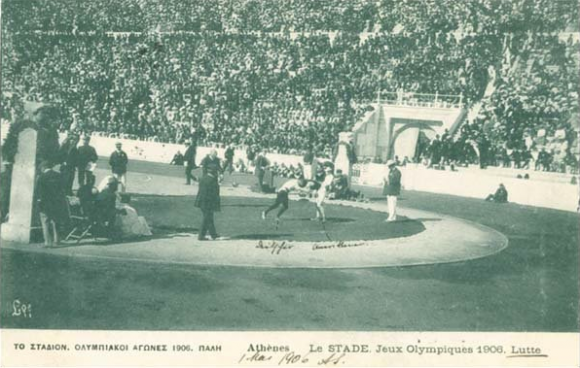 The 1906 Games were held in Athens 10 years after the first modern Olympics in 1896. At the time the games were held as an Olympic event and were sanctioned by the IOC. However, the IOC has since relegated these games to the status of “Intercalated Games” since they were the only of their kind to be held at a 2 year interval from a previous Olympics. The fate of the 1906 Games is sad in that they are almost forgotten by everyone and the IOC would like to pretend they never existed it seems. However, these games were the most successful since the original Athens Olympics in 1896. They were not held in conjunction with any other larger events and were held over a short period instead of over a months long period like at the Paris or St. Louis World’s Fairs. In addition to returning to a stand alone format and being held over a couple weeks these Games established protocols and traditions that previous Olympics had not pursued. 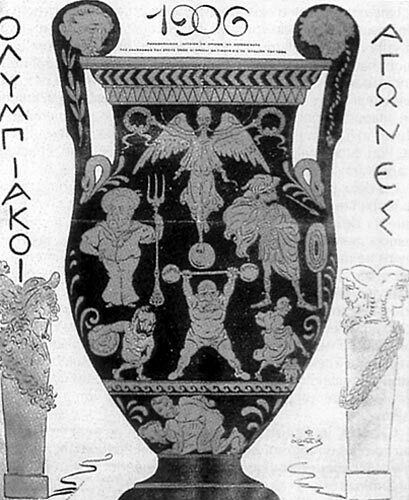 Athletes at the 1906 Games were sponsored through National Olympic Committees instead of simply representing their countries by virtue. This move added more structure and organization to the Games and is still how the Olympics are organized today. 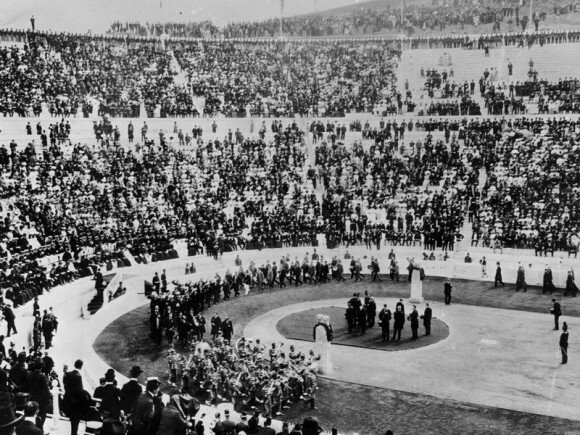 The 1906 Games were the first to have an Opening Ceremony as a stand alone event where athletes marched in with their national teams under the countries’ flag. This was also the first games that included an Olympic village for athletes, and a separate closing ceremony. 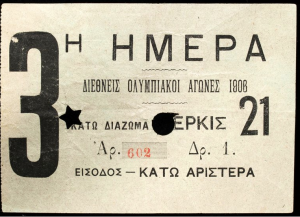 The Games were held at the Panathinaiko Stadium just as the games in 1896 had been. France won the medal count with 40 followed by Greece with 35 and the US and Great Britain tied with 24. In many ways the success of these Games followed by the next Games in London would cement the Olympic Movement with its own independent legitimacy. From these humble seeds the juggernaut that is the contemporary Olympics rose. Medals and awards were handed out at these Olympics, but are no longer recognized by the IOC as official Olympic events which is sad because these competitors and organizers contributed as much to the Olympics as anyone and yet are left forgotten.